Pressure is mounting on fire service chiefs to speed up money-saving collaboration work in South Yorkshire following a request to “brake” the process for six months to give the brigade time to press ahead with internal work. The county’s Police and Crime Commissioner, Dr Alan Billings, sits on South Yorkshire Fire Authority and also chairs a collaboration board between that service and police, set up to promote joint working between the two which could cut out duplication and save money by sharing services. He has already had research conducted to look at the options for the future of the service, which could include abolishing the authority, made up principally of councillors from the county’s four district councils, and taking over the service as part of his remit. At this stage he has veered away from that option and would prefer to keep the authority intact, but only if it can be organised in a way which allows decisions on collaboration projects to be made swiftly. Authority members were told at their last meeting that officers would like to “brake” the collaboration process until mid-summer, to allow the service to focus on internal spending plans, called a capital programme, which include building a new Barnsley fire station and refurbishing others. Dr Billings insists that work should be done alongside collaboration and said South Yorkshire Police had already offered assistance with the process. He said: “At the last (collaboration board) meeting we said we would not put the brakes on collaboration, that they had to find a way to continue their capital programme without putting the brakes on. 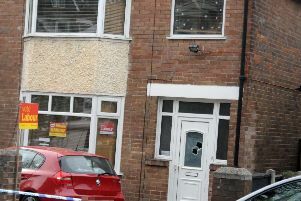 “South Yorkshire Police even made offers to help. “It was surprising and disappointing it was raised at the fire authority meeting. It may be we have to revisit it at the next collaboration board. “It wasn’t acceptable to the collaboration board, we made it absolutely clear. “I recognise and accept they have a capita programme they have to implement; they have been hanging around for too long,” he said. The two services have recruited a joint head of estates to push forward work on sharing buildings and their role, said Dr Billings, was strategic and should not be involved in the progress of the fire service capital programme. Police and crime commissioners nationally have been given the option to take control of fire services in their area and that has already been done in North Yorkshire, where PCC Julia Mulligan made the switch. Options involve installing one chief officer for both services – something Dr Billings does not favour – having the PCC take control of the functions conducted by the fire authority or sitting on the authority, as he does at present. He reached the conclusion that the current arrangement could work, provided the fire authority chairman had the power to make decisions on their members’ behalf at collaboration board meetings, in South Yorkshire and he put that to the authority. However, he has confirmed the issue may have to be revisited if collaboration does not happen “at an accelerated pace”. South Yorkshire Fire Authority is sitting on substantial cash reserves, though much of the money is earmarked for major projects, with £3m set aside for Barnsley's new fire station and another £4m for refurbishment work. Progress has been slow, however, something blamed partly on two staffing reviews which have seen the workforce slimmed, with few experienced workers left in the estates department.